A theatre director, writer and producer, I’m one of the organ grinders at live literature company Trashed Organ and the director and founder of the madcap theatre troupe Mixtape. Part comedy sketch show and part music quiz; we take songs and, using only the words in those songs, create short micro-plays that can be no longer than the tracks that inspired them. 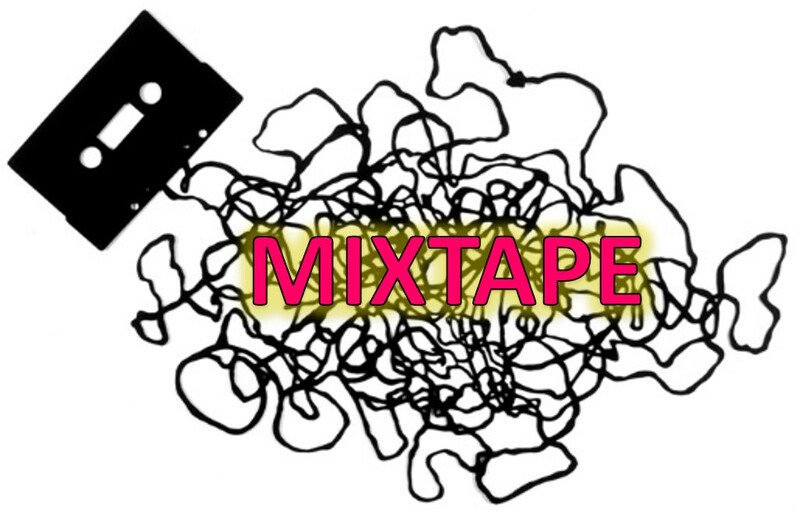 You play along in teams trying to guess the tracks and bands that inspired each short sketch with the chance of winning the highly coveted Golden Mixtape. Our next event takes place at Live Theatre on Friday 7th November. Next year I’ll be launching my new theatre company The Six Twenty, directing new work and playful re-imaginings of classic texts. Here are a few of the coffee-fuelled music picks that have featured on my theatrical Mixtape so far. If I could pick one song to be the theme tune to my coming of age film then this is it. Reminds me of hazy summer festivals, sweaty gigs, spray painted t-shirts, visits to Simon Price’s nightclub (of the same name) and drinking Babycham. My favourite Wainwright. It’s a bleak look at the life of a touring musician in need of companionship. Life on the road isn’t all adoring fans, free booze and women. It’s less trashing motel rooms and more trashing the myth. I’ve been a fan of the Brechtian punk band The Dresden Dolls and Amanda Palmer for a while now. I first heard this track rarity on a bootlegged live recording and fell in love with the humorously bleak lyrics and the blend of Amanda and Tom Dickens’ vocals. Light some candles and drift off to the layered soundscape, beautiful orchestration, soaring strings and crackle and hiss on this track from Ooberman’s debut album Magic Treehouse. Childhood drives with my Dad singing and laughing. Inside my head there is always a Tom Waits record playing. I could have picked a whole Mixtape of just Tom Waits tracks. This song will always hold a special place in my heart. I first fell in love with Tindersticks and Stuart Staple’s lush vocals and lyrical laments at University. This song, from their third album Curtains, is a debauched tale of lust and desperate despondency. It’s a wonderfully sleazy piece of lyric writing. A heart wrenchingly beautiful song. Reminds me of sitting up late in a backstreet bar in Paris listening to this song, drinking wine and dreaming up adventures. A freaky deaky little track. We recently remixed the lyrics of this for our Mixtape festival road trip to The Secret Garden Party. It reminds me of late nights in the garden rehearsing and laughing. A perfect sea-swilling shanty and tale of revenge. If you go to a Decembrist’s gig you must take an inflatable whale with you to crowd surf to this song. Pass the grog! This was the opening song for Warhol, the first show I took to the Edinburgh Fringe. Whenever I hear it, it makes me smile and think of that perfectly bonkers and blissful time. Because the world is wild and although this song is about the end of a relationship and the sadness of leaving it’s also hopeful with anticipation for what lies beyond.